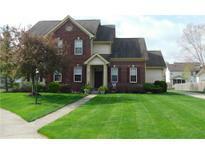 Below you can view all the homes for sale in the Green Street Village subdivision located in Brownsburg Indiana. Listings in Green Street Village are updated daily from data we receive from the Indianapolis multiple listing service. To learn more about any of these homes or to receive custom notifications when a new property is listed for sale in Green Street Village, give us a call at 480-577-2304. Interior of home recently painted. a very peaceful neighborhood. MLS#21636093. CENTURY 21 Scheetz. 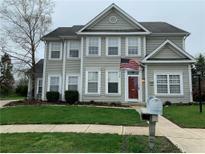 Easy Access To 74 & Within Walking Distance To Movie theater & Dining. MLS#21635777. F.C. Tucker Company. Terrific Private Master Suite & 4 Other bedrooms. Fabulous Location - Great Neighborhood! MLS#21635218. F.C. Tucker Company. Don't miss the deck and fenced yard too! MLS#21626953. F.C. Tucker Company.